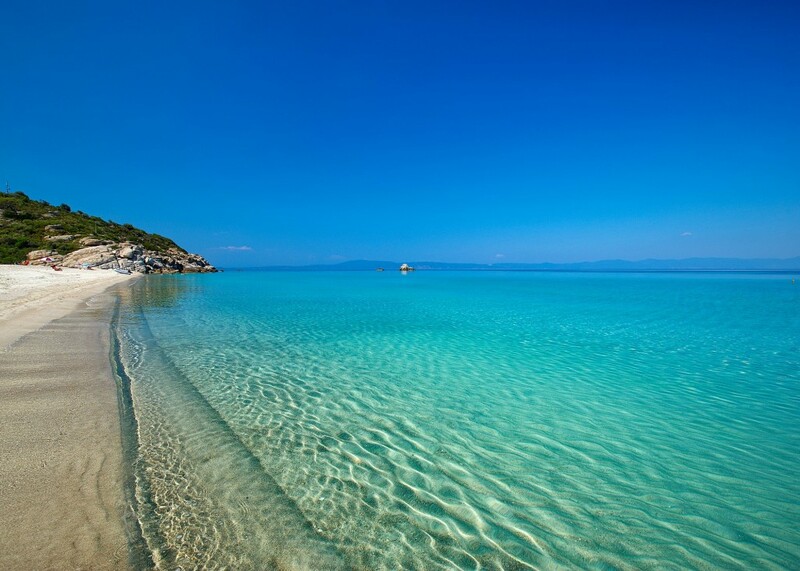 Chalkidiki, with its three peninsulas Kassandra, Sithonia and Mount Athos, is one of the most beautiful landscapes of Greece. It fascinates with its crystal clear waters (the sea and the many clean beaches receive every year more blue flags from the European Community than any other Prefecture), picturesque villages, deserted beaches and bays surrounded by tall pine trees. 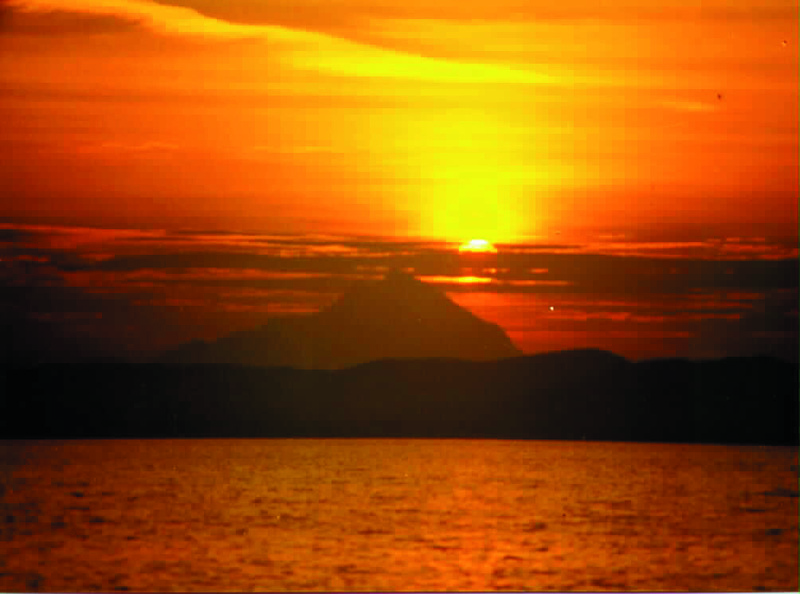 It also offers ideal and safe sailing conditions since it is protected from the occasional strong winds of the Aegean. Our fully equipped yachts as well as our experienced skippers guaranty safe and unforgettable 7-day sailing vacation to Chalkidiki and Mount Athos, which for more than a thousand years has been the centre of orthodox. 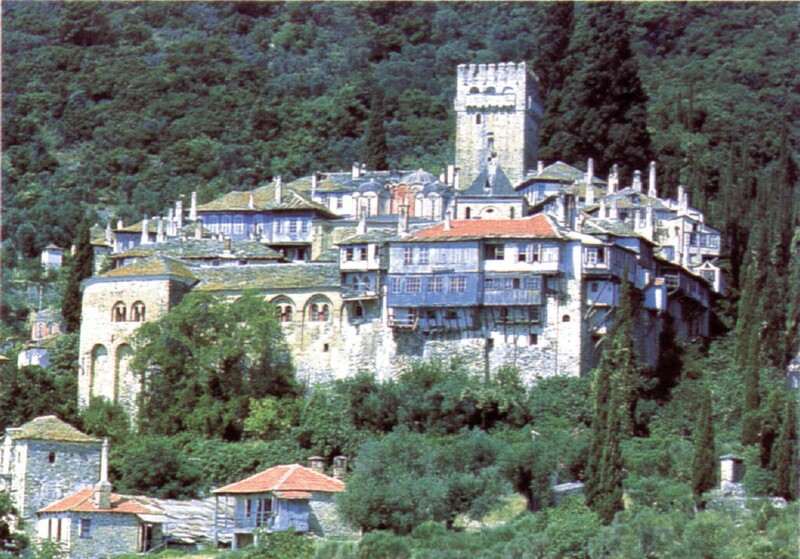 The unique combination of deep blue sea, mountains (to look at the 2033 m. high-top of Mount Athos is breathtaking) monasteries and monk-villages is incomparable – a left over memory of the Byzantine. Our well-trained skippers will show you the monasteries that we can see from a distance of 500 m. if women are on board (with men only on board we can go much closer). 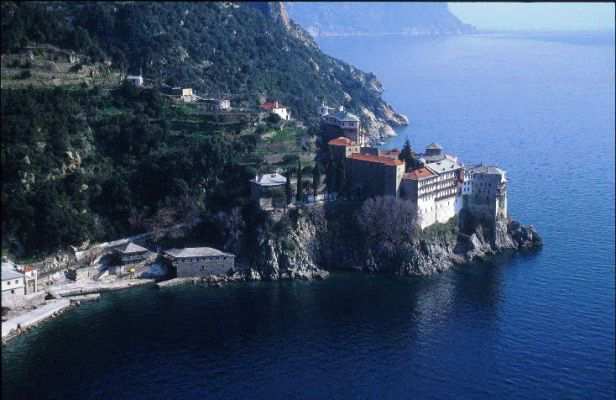 As one of the oldest rules of Mount Athos from the 11th century forbids women to get in the monks republic, this is the only possibility for you, ladies, to see the monasteries at least from the sea. Our boats depart every Saturday at 7:30 a.m. from the Marina of Thessaloniki and return on Friday evening. Friday evening, we gather (those who have arrived in Thessaloniki) at our company’s office, where you meet your skipper and get acquainted with the rest of the group. On Saturday morning we meet at 7:00 at the Marina of Thessaloniki and set sails. After our first short stop for swimming – lunch – rest at Sani or Posidi (beautiful beaches on Kassandra/Chalkidiki), we arrive at Skioni late in the afternoon. On Sunday morning we set sail for the bay of Marathia (Sithonia) and in the afternoon we leave for Sikia or Sarti and spend the night there. On Monday we set off for the small island Diaporos, on which we find just a few private summerhouses, for swimming, eating and relaxing. In the afternoon we depart for the island of Amouliani or Ouranoupolis. On Tuesday morning we sail along the coast of Mount Athos, where we see at the Gulf of Siggitikos the 7 monasteries, Koutloumusiou, Zografou, Xenophondos Konstamonitou, Panteleimonas, Simonos Petras, Grigoriou, Dionisiou and Pavlou. With appropriate weather conditions we then sail to the cape of Akrathos where we can see the Monastery of Megisti Lavra. That night we spend in the natural harbor of Porto Koufo. On Wednesday we set out and reach the small beautiful bays close to Porto Carras and in the afternoon we arrive at the Porto Carras Hotel-complex. 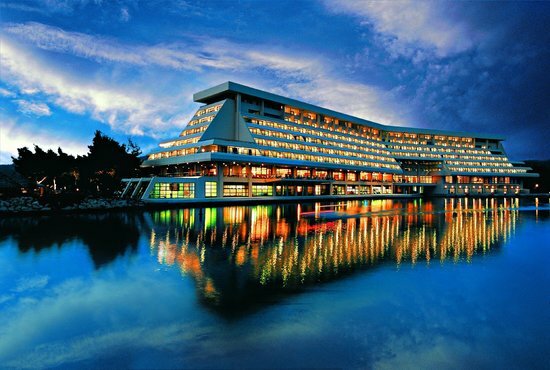 Here, we find a modern marina with bars, restaurants and shops, a golf course, tennis, horse riding, a casino and any kind of water-sports. With a taxi you may also visit the near-by village of Neos Marmaras. On Thursday we sail to the turquoise bays of Paliouri or Posidi (Kassandra) for swimming, lunch and rest and in the afternoon we leave for Porto Sani or Nea Moudania where we spend the night. On Friday morning we set off for Thessaloniki and arrive at the marina in the afternoon. At the Marina, with our captain’s help and instructions we clean and tidy-up the boat. The sailing excursion in Chalkidiki and Mount Athos takes place from April till October, as long as there are minimum 4 participants. For further information, available dates and reservations please e-mail us at: mse@sail.gr or call: +302310-429.770, +302310-429777 on Mondays & Wednesdays 10:00 to 14:00 and on Tuesdays, Thursdays & Fridays 10:00-14:00 & 18:30-20:30 (Greek time) and +306944-439.514 on weekends.